This lovely 2 bedroom cottage enjoys a very flat landscape with shallow sand/silt bottom and a great shallow entry for the little ones. With the southern exposure, the family with enjoy plenty of fun in the sun. There is a long dock extending out into the water where the water is about 3 feet deep at the end. The sand bottom does turn slightly softer as you walk out to the end of the dock, with just a few scattered weeds and a cleared pathway to swim out to deeper water. The clear clean water area by the beach is fantastic though for kids who love to splash and play. There is even a little shallow creek area at the side of the lawn for them to explore some of natures little wonders. 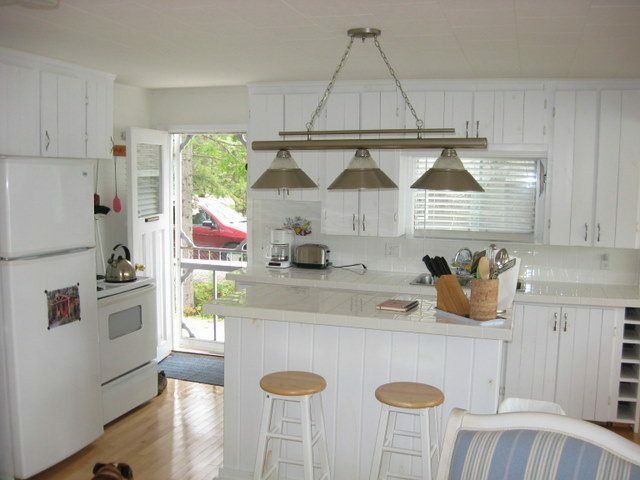 Inside the cottage is impeccable. 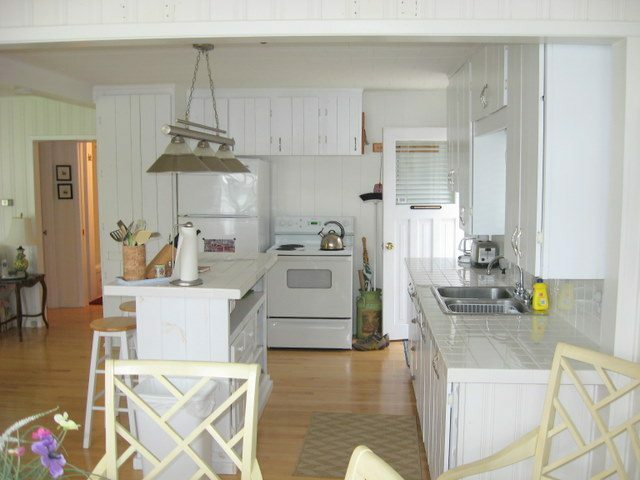 The open kitchen is bright and cheery, with a view out to the lake through the dining area. 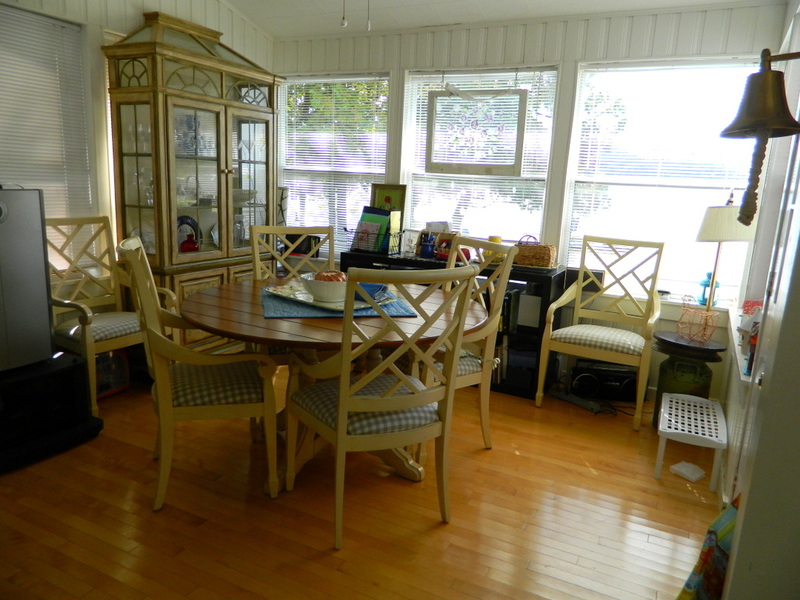 The living area has a large window that looks out over the deck to the waterfront. The deck is a wonderful spot where you can enjoy dining with a view out over the lake. 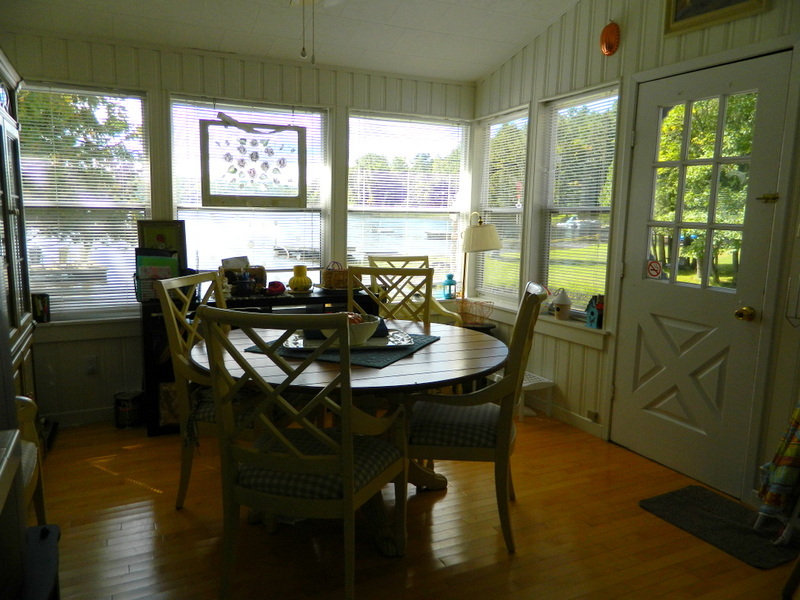 There is even an awning here to help shade from the sun or an afternoon shower if you need it.. Come and enjoy this great small family cottage, on Little Trading Bay, on ever popular, Lake of Bays. 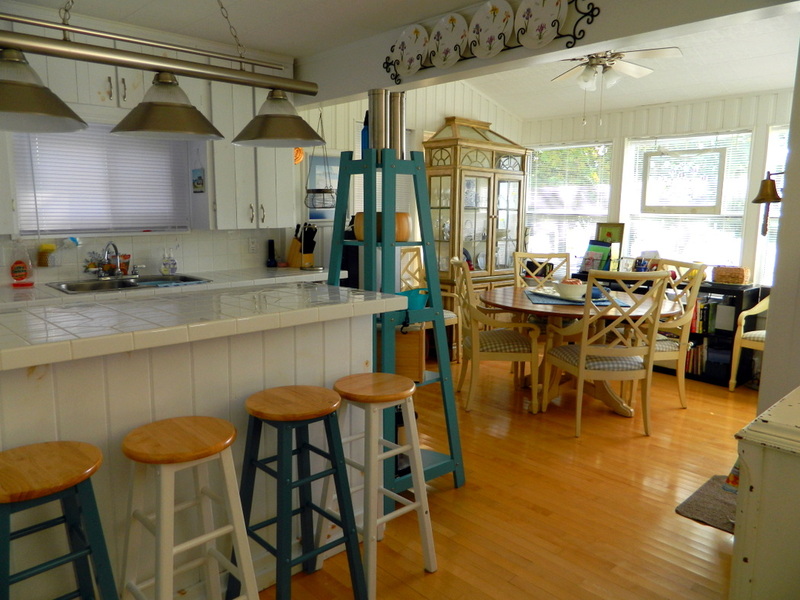 For your convenience, there will be a mandatory cleaning fee of $150 added to your bill so that you don't have to do a detailed cleaning yourself (you are still required to leave the cottage neat and tidy, as well as remove all your garbage and recycling). LOCATION:About 2.5hrs north of Toronto. Only 2 minutes to the village of Dorset for some groceries, restaurants, LCBO and more. The town of Huntsville is about 30 minutes away for most all amenities. Pet allowed (1 small dog), no smoking, maximum number of occupants is 5, bring own linens and towels, bring own drinking water, noise restriction after 11 PM. Note: The cottage sits directly adjacent to Kawagama Lake Rd. The back of the cottage is about 80 feet from the road.